for partnering with us to serve the people of Mexico. 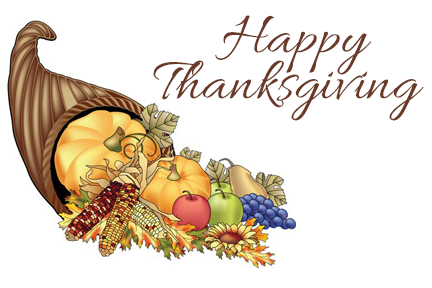 Happy Thanksgiving from all of us at Foundation for His Ministry. Susanna Payne, daughter of Joe and JoAnn Payne, sent the announcement of her engagement with the following note: “Please don’t feel obligated to give a gift. Please consider a donation for Foundation for His Ministry, a Christ centered orphanage and ministry to migrant workers in Mexico.” This remarkable young woman has been a faithful donor to His Ministry and we will celebrate her wedding. Please pray for Juanita Valenzuela’s health. 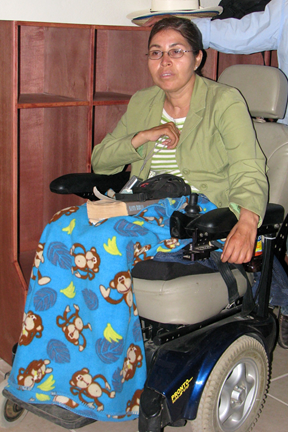 Juanita has been one of our teachers in the Disabled Children’s Learning Center for many years. Al and Amy Carlson need prayer. She is facing serious visual problems and Al is not well. Al works in the Disabled Children’s Learning Center and Amy recently remodeled our gift shop and serves there. 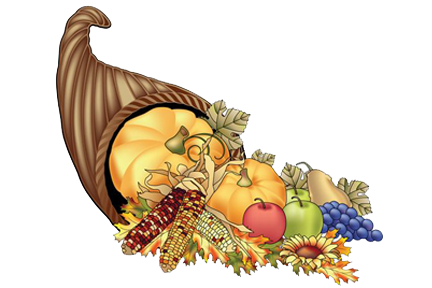 Thank you to all who so generously gave to the purchase of turkeys and our Thanksgiving dinner. 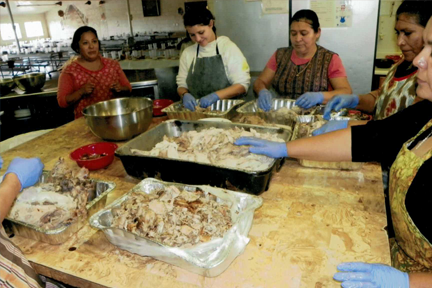 For many years, Bel Air Presbyterian Church faithfully supplied the turkeys and trimmings but we were unable to take them across the border into Mexico this year. So dear friends contributed towards their purchase and once again Thanksgiving dinner will be served at the missions. 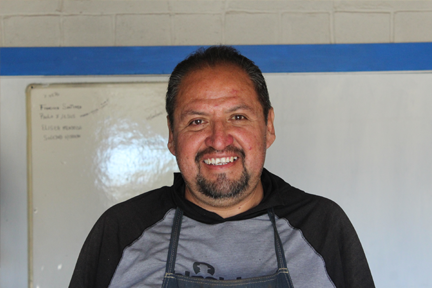 At our Baja Mission, Osmis has bronchitis and needs prayer for healing. 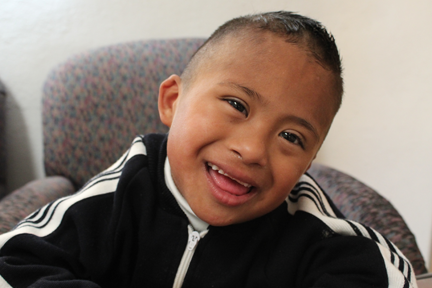 Pray for our bus drivers who take children to and from the Disabled Children's Learning Center. This is an ongoing prayer request for the safety of the bus drivers and children. Roberto Munoz Flores is now being given hospice care. How we thank God for this brother in Christ and the blessings we have all received. He is an evangelist and will enter into eternity with countless others with whom he shared his faith. Please pray for his family. Lutheran Church of the Cross, 24231 El Toro Road, Laguna Woods, CA. for her rendition of Feliz Navidad. Dinner starts at 6pm. Please make your reservations early by calling (949) 492-2200. 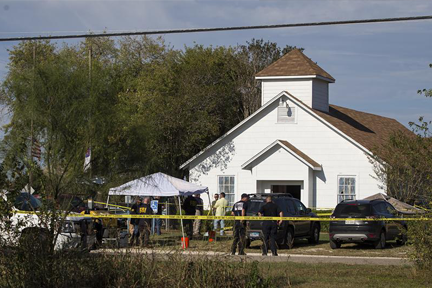 Sutherland Springs: This a time to mourn for the soul of our nation. Let us pray for Sutherland Springs and all the families affected by this event. Our hearts are heavy, but God is on His throne and we WILL be victorious in spite of the evil in the hearts of so many. Thank you for praying for our annual board meeting. It was held at our beautiful Oaxaca Mission, a place where everyone should visit. We had the opportunity to go to the prison and other historical places. The youth group at the Oaxaca Mission is experiencing a move of God the Holy Spirit with the leadership of Pastor Edgar Rivera. Pastor Edgar ministered in the remote regions of Oaxaca for years. 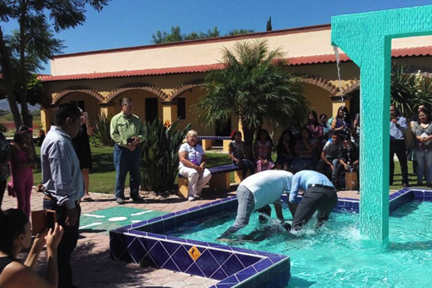 Five teenagers were baptized Sunday afternoon. In preparation for the board meeting, the work group from Divine Shepherd Lutheran Church, Milwaukee, Wisconsin spent days laboring. They worked from early morning to late at night and were tremendous representatives of servanthood. The monthly Friday night prayer group was tremendously blessed by the ministry of Keith and Maya Durkin who work with the street children in Tijuana. Thank you all for praying for the Durkins. We thank God for Jack and Lois Schofield who are back with us again this year. They are busy sending out cards with beautiful ornaments to those who are participating in giving to our Alternative Christmas. If you would like to participate and give a gift towards Alternative Christmas click here. You can also order free paper ornaments to send to your loved ones. Although Doug Williams, our C.P.A. has yet to finalize our annual audit, we believe FFHM is approximately $58,000 in the red. This is the second year we have had a deficit. The fact that it is nearly impossible to transport donated goods across the border into Mexico is the reason for this deficit. We know that God’s work done God’s way will not lack supply. Andrea Pereau Lombard went through surgery on Wednesday to put in a pacemaker. Please pray for a quick recovery and total healing. Please join us in prayer for Pastor Leland Lantz and wife Marcia, who will be traveling to Uganda, Africa to visit and minister to the world’s largest refugee camp. They are dear friends of His Ministry. They will be bringing support to three different missionaries located in Moyo, Mbale, and Kampala. The U.S. Board will hold their annual meeting in Oaxaca, Mexico from November 2nd – 4th. We would appreciate your prayers that God would grant us His wisdom, direction, and purpose for this vital ministry. Our beloved Keith Durkin will be sharing at the Friday night dinner, November 3rd. Keith and Maya have served in Mexico for many years as church planters. He began his ministry at the Baja Mission. Presently they're feeding hundreds of displaced children in Tijuana. Please call Linda at (949) 492-2200 if you plan to attend the dinner. It will be held at Lutheran Church of the Cross on El Toro, Laguna Woods, CA. Barry Wineroth introduced us to Brian Mooney who served as the mission host for a number of years. Brian often told the miraculous story of his healing as a child. He married Margaret and they went on to Belize to serve the Lord at a daycare center. Then the Lord took Brian home. 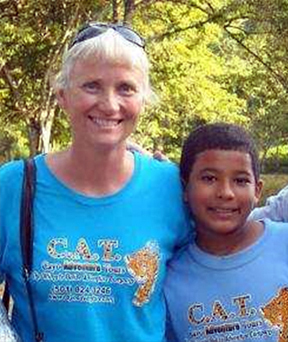 Margaret was left with three children and continues to serve in Belize. Please pray that God will meet her many critical needs. For 50 years Bel Air Presbyterian Church has furnished turkeys and the makings for our Thanksgiving dinner. But the day has come when we can no longer transport turkeys across the border into Mexico. The Van Dykens, who have made all the preparations for Thanksgiving dinner for many years, were prepared for this year but we have no turkeys and fixings. Please pray. This may be a project to which you’d like to contribute so we may purchase the ingredients in Ensenada. 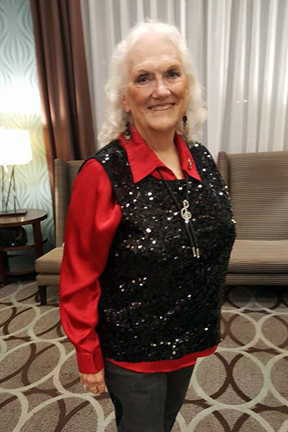 Judy Gama is the founder of Wings in Redding, CA, our only auxiliary. Judy is in critical condition and has had multiple issues related to her heart. We can never forget the celebration she hosted for our 50th anniversary. She was led by the spirit to honor the oldest member of Wings and Lorraine Barter, our bookkeeper, who graduated to heaven shortly thereafter. Judy needs a healing touch by Jesus. 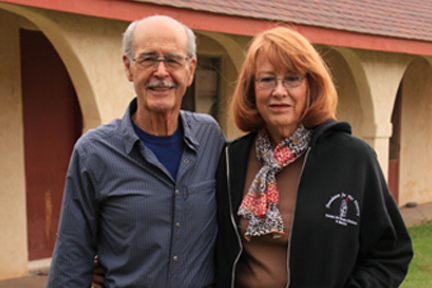 Charles and Robin Nahas have faithfully served our newsletter mailing team for years. They come to our Friday night dinners every month, and each month I see Charles’ strength waning. Please pray for him and for Robin, who had a bout with cancer. 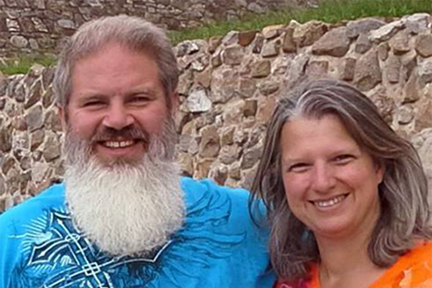 Connard and Deanna Hoffman have served both in Oaxaca and at the Baja Mission. The Hoffmans are multi-talented missionaries and very faithful prayer warriors. Connard will be having a kidney and growth removed on November 30th. Please pray. Linda Strom, Discipleship Unlimited, has been a faithful supporter for years. They have purchased Charla’s Children and The Little Lost Pup and distributed them throughout the prison at Gatesville, TX. How we thank God for Linda and her ministry to “the least of these.” Thanks to their donation, one of the staff members in Oaxaca was able to travel to Ixtepec, which was affected by the recent earthquakes. They were able to construct a shower for them and are providing the water needed to run the shower. They also handed out needed supplies to the people living in this camp. Our annual Alternative Christmas campaign started in October. 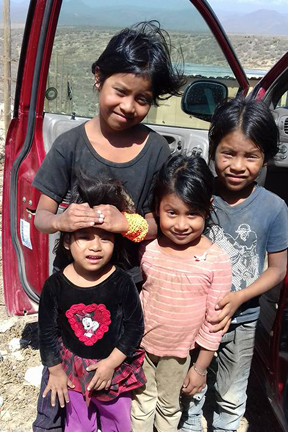 You can help meet the basic needs of the ministry as well as our surrounding communities in Baja and Oaxaca. A friend of the ministry included a note with her donation: "This gift is given to further the wonderful work you are doing. It it given in memory of my husband, Reverend Alfred W. Walck and his sister, Amanda M. Walck, parish worker, it is also given in honor of our family of 12 grandchildren and 15 great grandchildren. My husband and I were foreign missionaries to Papau New Guinea for 26 years. We have been impressed with your work and regularly read your newsletter, often sharing it with the family. The grandchildren chose to give toward the peanut butter and milk project. The little ones will enjoy receiving an ornament to hang on their Christmas tree to let them know where their grandfather's memorial was sent. Thank you for the good work among the children of Baja and Oaxaca."